When one signs a Liability Waiver, then that would mean that the person understands all the risks when performing certain activities or making certain agreements. A good example would be through the use of release of liability forms in which companies are not held responsible for any accidents that occur to those who are willing to sign the form. Every company or organization makes proper use of liability waiver forms to ensure that in the event that these people do encounter certain incidents that may inflict physical or mental pain, they cannot file cases against them. So be sure that you properly read these forms to ensure that you know what you are getting into before accepting the terms and conditions. 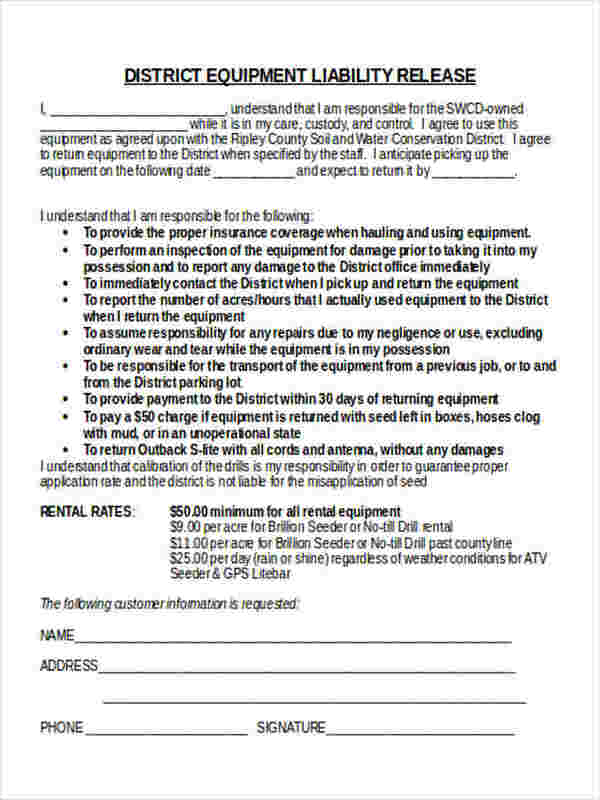 Does Liability Insurance Cover Rented Equipment? Generally, liability insurance does not cover equipment that has been rented. However, there may be companies that have different policies wherein the company that is insuring you for liability insurance may have stated a clause in the contract which provides coverage for any rented equipment. Business Liability Forms might cover situations that elaborate on the liability insurance of any equipment you rent from them, just ensure that you read these forms carefully. Be sure that you have the necessary documentation to reduce the risk of liability. You will need to know if the equipment rented is a hundred percent safe and is not damaged before you use them. Be prepared should any accident take place, make sure that you have insurance that covers you in the event that any accident occurs concerning rented equipment. If an accident does occur, be sure that you have proof regarding the incident. Take pictures of the accident and acquire statements from witnesses if possible. Take note of these especially when using Trustee Liability Forms that shows which company or person is to be held responsible for using certain properties. Be sure to state that nobody else but the person renting the equipment may use these. Certain people might be allow others who are either inexperienced or unlicensed to handle certain equipment. 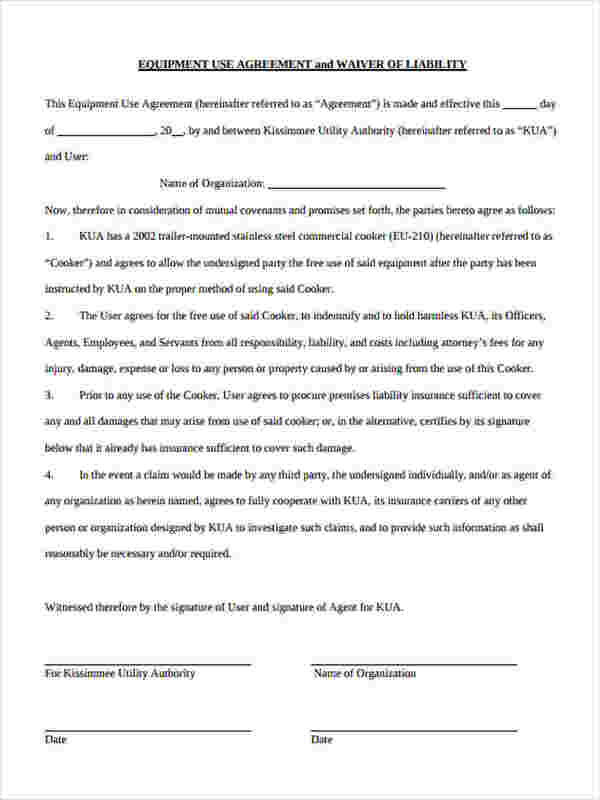 Should they encounter issues then the rental company will not be held liable. 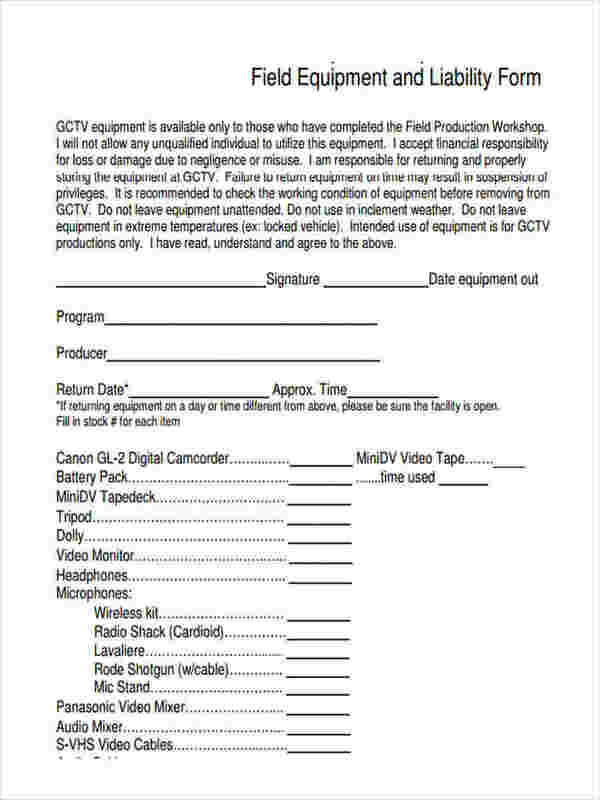 Be sure to indicate the day of when the equipment is to be rented, and the day it is to be rented. This is to ensure that the renter understands that the responsibility of the handling of the equipment rests on him until the equipment is to be returned. Be sure to state that any damage incurred by any client must be covered by them. This is to ensure that the equipment is returned in proper working order. Should these people damage the equipment, then they will be fined a fee on whatever was agreed in the contract. 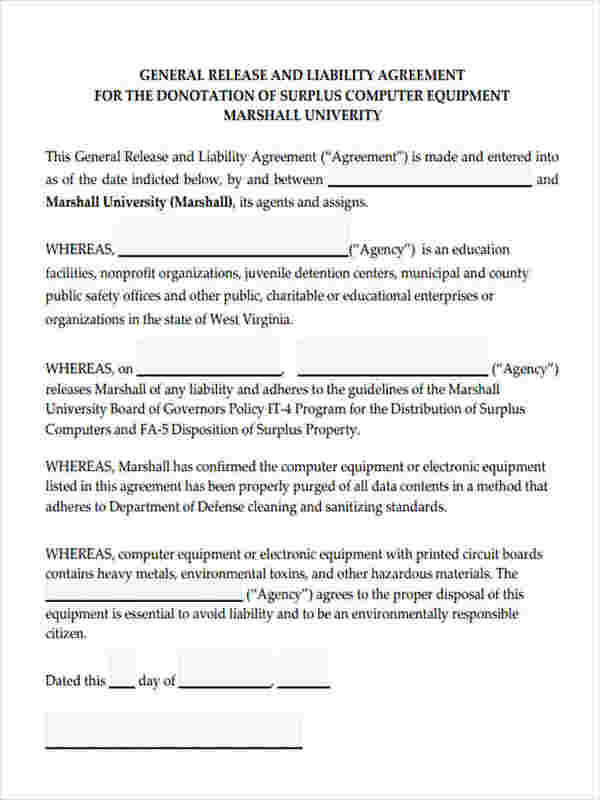 So in the event that you wish to know more on liabilities for equipment rentals and usage, then there are many different types of Sample Liability Forms here for you to view and use.